It is ironic that the best screen printers don't normally make the most money selling T-shirts. If you look in the classified section of your local newspaper on any given day you will find a screen-printing company up for sale. It seems like everyone thinks they will make lots of money printing custom t-shirts but very few people actually make it big. Most people will buys some equipment and learn how to print all kinds of cool designs. One of the problems for these entrepreneurs is they don't know where to buy t-shirts in bulk and save on screen printing supplies. I am a believer that some of the best screen printers have gone broke because they are spending too much money on supplies and not being able to bridge the gap when their bills are due. 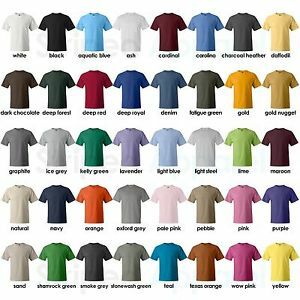 They spend a few minutes online looking where to buy t-shirts in bulk, then choose any company that sells bulk blank shirts for under $3 a piece. 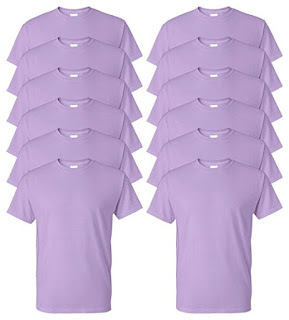 Little did they know if they were really serious about buying t shirts in bulk, they could get them for well under $2 in any color. This is only one of the problems these failed screen printers face. The second biggest issue is bad marketing plan. Take the less traveled road and make sure you pick up the phone and call the local schools. Talk to as many coaches as you can. Each and every one of them needs custom t-shirts for the teams they coach, camps, or coaching staff. Don't fall into the trap of thinking they will find you because if you aren't making those painful cold calls, your competition is willing to do it. Any successful print shop is proof of that and if you ask any of the companies up for sale how many cold calls they made in a typical week. I bet the answer is zero. Don't focus on the sale. Focus on the fact you offer a product or service that will either save your customer money, time or make their purchasing process easier. If you took the time to look where to buy t-shirts in bulk and save on screen printing supplies, then half the battle is won. Most people that you are targeting are buying your product. If I assume your are at least bright enough to know your target audience. That being said, if you truly believe you will make it easier for them to purchase from you than your competition you are 90% there. If not make it true. In the case of selling custom t-shirts, offer quicker turn around time. Offer free artwork, free set up. Any things that will make you stand out from the crowd. Remember if you are just a face in the crowd no one will remember you or change their current buying pattern. You have to know where to buy t-shirts in bulk and save on screen printing supplies to be able to work with these low margins and still make a killer profit. Change is hard for many people. Make it easy for them. Go cold calling with your business laptop and offer to do free artwork on the spot for free. If you get in to see a decision maker, do the artwork for free and get them to okay it. You have the sale! Do something unique, stand out, and offer to deliver personally. Get out in front and sell your shirts off. Here is our source where you can where to buy t-shirts in bulk! Click Here!